We’re excited to share that the #NoLOBOs campaign is going strong. 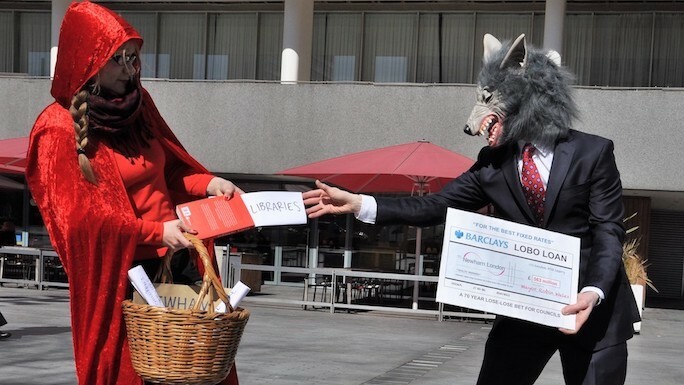 Last year, we provided support for residents objecting to risky and expensive LOBO loans in 18 local authorities. This summer, we aim to double that number and have already filed at least 15 objections in just two weeks! Debt Resistance is supporting local residents to challenge their council’s decision to take out these risky bets. Here’s more info on how the process works. To keep the pressure up, we need to provide more support to local residents to lodge objections. We are now crowdfunding for a part-time campaigner to help residents navigate council bureaucracy and scrutinise the details of LOBO loans that are extracting huge interest payments from their already cash-strapped local authorities. Can you help us reach our goal? Post this call in any list of network and groups you are part of. Talk about it as much as you can! Below is a short video explaining the issue and why we are asking for support.